Merry Christmas and Happy New Year all! As the year winds down I’m a bit down and out. After two bouts with flu-like illnesses and a planned surgery I’m not able to do a whole lot at the moment but I am testing out the Suunto Trainer Wrist HR I recently received. 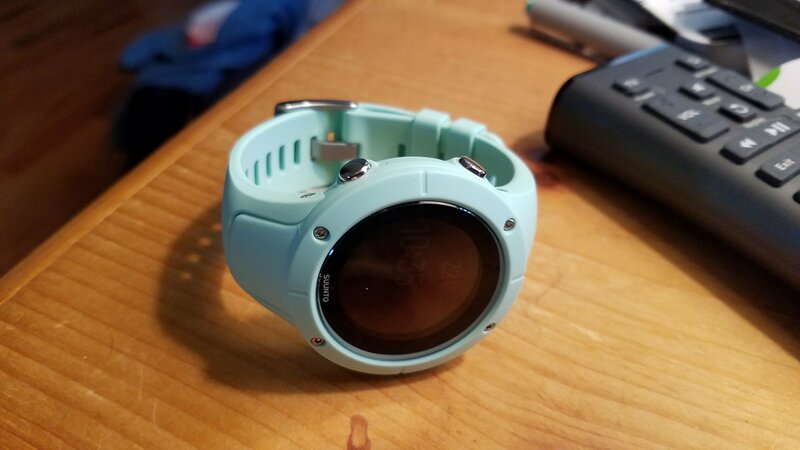 I kept going back and forth between the Suunto and the Garmin Fenix 5s as my choice of a good hiking watch but I went with the Suunto because the reviews for the Fenix regarding its heart rate monitor were really disappointing and I wasn’t going to spend $500 on a watch with a cruddy heart rate sensor, though I’d like to test it out myself before declaring it has a poor HR sensor. Of course, price played a role too. The Suunto Trainer costs almost half as much as the Fenix 5s but I do plan to compare them head-to-head on the trail in 2018, although a more fair comparison would probably be the Fenix 5s against one of Suunto’s pricier models. Still, the watches have a lot in common and I’m interested to see if the Fenix is worth the price and/or the Suunto has a lot to offer for its more affordable price tag. 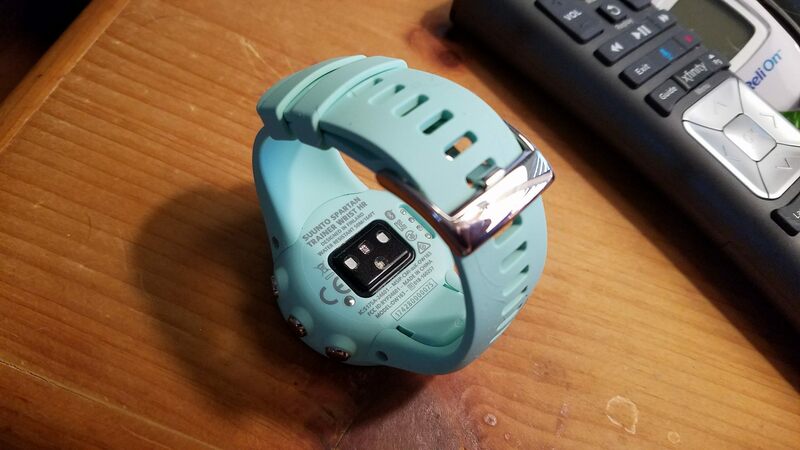 NEWEST UPDATE (12/28/17): I just had to give the watch another try before sending it back (see the update before this one) and I got the wrist heart rate sensor to work properly. Woohoo! I’m going to do some more tests but it appears that if I wear the watch with the sensor against the inside of my wrist it does very well on the treadmill. It also did great for a workout on an exercise bike just wearing it normally so I’m going to hold off sending it back because I really want to keep this watch. 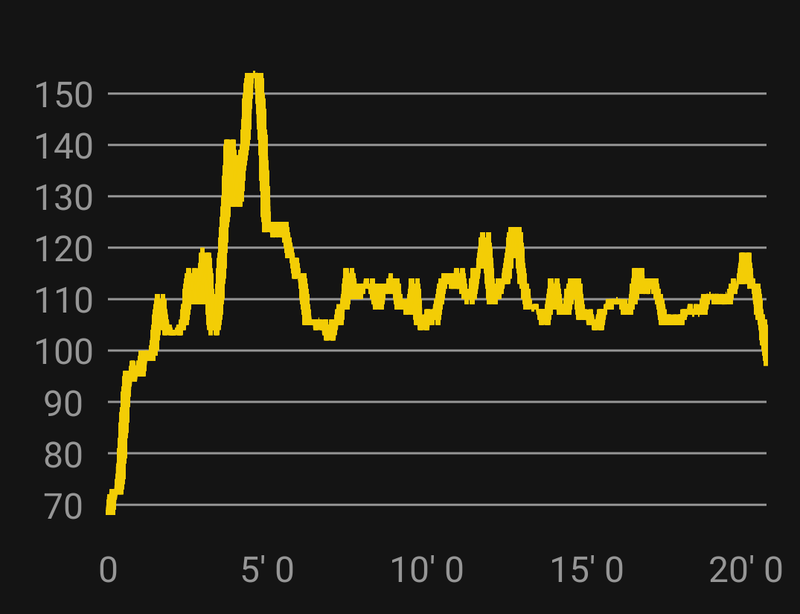 One thing I’ve noticed is that it registers a very high heart rate early within the first few minutes of every workout I’ve done but usually settles down after that. 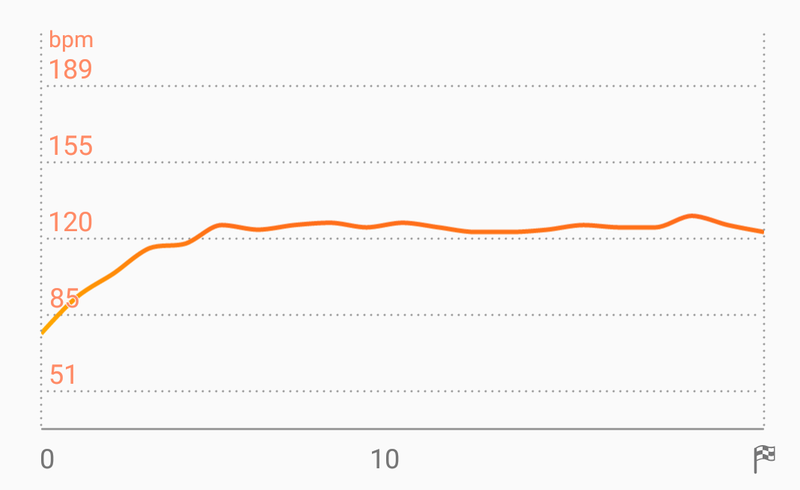 I’m not sure how to avoid that other than doing some warmup exercises before my main workout(s) or just ignoring the first couple minutes of data. The manual for the watch does suggest doing a warmup exercise first however; so I guess that’s what I’ll do. I haven’t even been able to try the hiking features yet since it’s literally below zero degrees F here in Illinois. We’re having a cruddy winter so far but as soon as the weather breaks, in like 3 months (haha hopefully sooner) I will get it out on the trails. The pedometer is also working better. I don’t know what the deal was with that yesterday. It still counts less than it should but it’s performing much better today and I have no idea why. I know I sound like the world’s worst reviewer but I share the good, the bad, and the ugly with you. Reviewing products like this isn’t always smooth sailing. OLD UPDATE (12/27/17): After several tests on the treadmill with the Suunto Spartan Trainer Wrist HR I decided to return the watch and order a replacement. The heart rate sensor went haywire at times, worse than any watch I’ve ever used. In every workout it would randomly jump up to 150+ bpm during just a walk on the treadmill. I’m still recovering from a surgery so I’m taking it easy in my workouts right now. I’ve compared it against a chest heart rate monitor and it’s been disappointing. 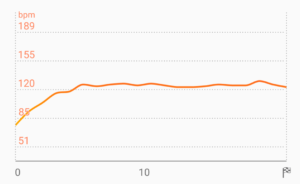 At times the HR sensor did a good job but then at other times it did really bad during the same workout. I can put up with a little quirkiness here and there but not HR data that is off by 30 bpm. 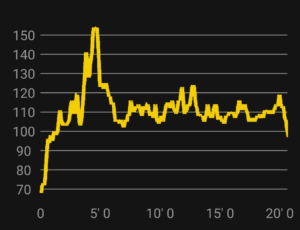 Suunto HR data showing unexpected high heart rate early in the workout. Same workout on the Gear Sport. I wasn’t wearing a chest HRM but since I was walking at the same pace throughout the workout this is much more accurate. The good news is that if you’re considering the Gear Sport, its’ HR sensor rocks! I’ve used it long enough now to appreciate just how good it is. I’m going to write another review on it soon because the wrist HR sensor on the Gear Sport is the best I’ve used. I’ve had such good luck with Samsung products because the Gear Fit 2 was also very good for me but the Sport is even better. I also went ahead and ordered a Garmin Fenix 5s. Yes, I bit the bullet and paid the price but I’m really wanting a good hiking watch. I’m interested to see how the HR sensor performs on the Fenix because I’ve read mixed reviews on it but I will be giving the Spartan Trainer Wrist HR another try and update the review in a few weeks. 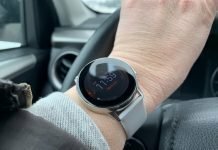 So far, my experiences with the Suunto Trainer Wrist HR have been positive but to be fair I haven’t been able to put it through vigorous workouts or even take it on a hike. I really thought it would be a watch that I’d only want to wear when working out or hiking but it’s rarely left my wrist since I received it. I like the feel of it on my wrist and I think it looks great too. I though it might be a bulky watch but it doesn’t feel that way at all but then I don’t have overly skinny wrists either. I chose the “ocean” color which is a pale green in person. I think it’s an attractive color that shouldn’t become dingy looking over time compared to the white version I was considering. The color looks different in different lighting conditions so it’s hard to tell from photographs online what exactly it looks like in person but I really like how it looks on my wrist. It does come in several other colors too. The straps are also replaceable which is important to me. They aren’t meant to be changed on a daily basis but if the straps become worn out or break you don’t have to throw the watch in the trash because the GPS is built into the strap. The GPS sensor is separate from the strap which is a smart design. Even though this is the most affordable watch in Suunto’s lineup it doesn’t feel cheap at all. I had first seen the watch on the Rizknows channel on YouTube and though their review wasn’t glowing there was something about the watch I really liked. Other reviews of the HR sensor were much more positive. 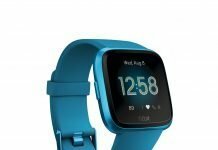 The HR sensor is supposed to be one of the best out there and its built-in GPS sensor should be reliable if it’s like other Suunto products. So far, I’ve only been able to test the GPS from inside my house and my backyard. Ugh. But the good news is that the watch was able to detect my position even while inside my house. That’s a good sign that it has a strong sensor. This is the first watch I’ve had that has had trackback features for hiking. 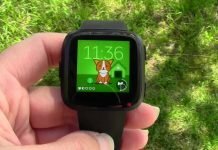 I have other watches with breadcrumbing but with those I have to visually gauge whether or not I’m following the path back and that’s not always easy on a small screen when you’re walking. With the Trainer I’ll have true trackback features with prompts if I wonder too far from the planned route and I’ll be able to mark points of interests while on the trail. Since I do a lot of wildlife photography and soon will be doing wildlife research, I’ll also be able to mark important GPS coordinates to visit again. I’m a soon-to-be graduate student so these features should come in handy. 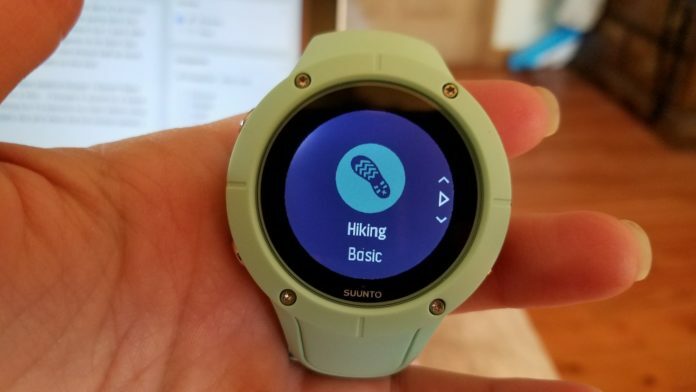 I’m really eager to try that out and compare it against View Ranger with Android Wear on the Ticwatch E. I love using the Ticwatch E on the trail but it just doesn’t have the battery life or rugged build for all-day hiking adventures. The Suunto Trainer Wrist HR is much more than a hiking watch though. As its’ name suggests it is designed to be a training watch and has 80 different sports profiles. This is a watch I’ll be able to take kayaking, swimming, on the trail, and to the gym. Although it doesn’t support ANT+ chest HR monitors, it does support Bluetooth sensors. Luckily, my chest strap is capable of both so I’ll be able to use it for workouts that wrist HR sensors just don’t handle so well, like weight lifting or anything that involves lots of flexing of wrist muscles. I wish I had more to report on the Suunto Trainer Wrist HR but as soon as I am physically able I’ll be putting it through its paces.